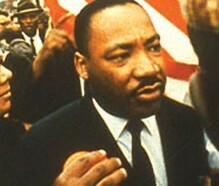 The Martin Luther King, Jr. Observance Day Committee is pleased to announce the following events in celebration of the life of Dr. Martin Luther King, Jr.
King, Jr. Blvd. will be held on Friday, January 18, 2013 at 7:00 p.m. The 2013 Business Community Breakfast and Unity Luncheon has been combined into a Business Community and Unity Brunch and will be held on Saturday, January 19, 2013 at 10:00 a.m. at the International Trade and Convention Center, donation $50.00. 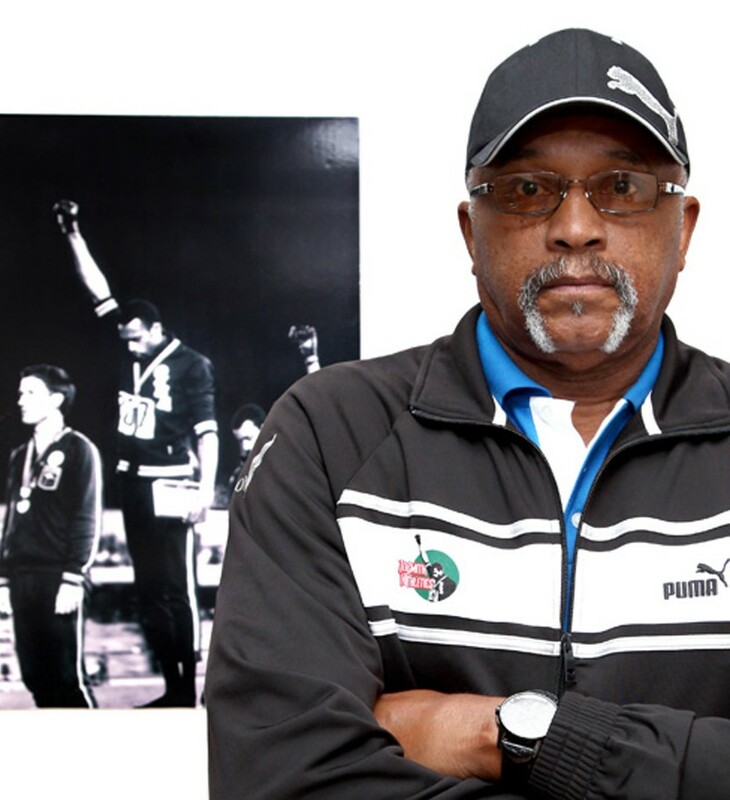 The keynote speaker for the 2013 Business Community Breakfast and the Unity Luncheon will be Dr. Tommie Smith. Tommie Smith began life quietly, born to Richard and Dora Smith on June 6, 1944, in Clarksville, Texas, the seventh of 12 children. Tommie Smith survived a life-threatening bout of pneumonia as an infant, which allowed him to carry out the work that God intended for him. Today, his historic achievements make him a nationally and internationally distinguished figure in African American history. He is the only man in the history of track and field to hold eleven world records simultaneously. As a college student, Tommie amazingly tied or broke a total of 13 world records in track. his Masters Degree in Sociology from Goddard Cambridge in Boston, Mass. May 2005 Honorary Doctorate Degree of Humane Letters from San Jose State University. Tommie Smith’s courageous leadership, talent, and activism have earned him well-deserved acclaim athletic and humanitarian award. Since the games of the XIX Olympiad, Tommie has enjoyed a distinguished career as a coach, educator, athletic director and activist. On Sunday, January 20, 2013 the Citywide Memorial Worship Service will be held at the historic Second African Baptist Church at 5:00 p.m. The keynote speaker for this occasion will be Rev. Dr. T. Dewitt Smith. Dr. T. DeWitt Smith, Jr., is the son of the late Mr. T. DeWitt Smith, Sr. and Mrs. Ernestine Smith. He was born in Chicago, IL and is a product of the Chicago Elementary and Secondary school system. He is a graduate of Judson College (Elgin, IL) with a Bachelor of Arts degree and Ashland Theological Seminary (Ashland, OH) with the Master of Divinity and the Doctor of Ministry Degrees. He is an inductee in the Martin Luther King, Jr. Morehouse College Board of Distinguished Preachers. Education, and as 2nd and 1st Vice President of the Parent Body. In January 1992 he accepted the pastorate of West Hunter Street Baptist Church in Atlanta, GA succeeding the late Rev. Dr. Ralph David Abernathy. Dr Smith served as pastor for eleven years. As pastor, he led the church in an overall organizational restructuring, added and revitalized new and existing ministries and church facilities. In 2003 he completed his tenure as West Hunter’s pastor and was led by the Holy Spirit to plant the Trinity Baptist Church of Metro Atlanta located in Atlanta, GA where he serves as Senior Pastor.Dr. Smith has preached and lectured extensively across the nation and internationally, having authored several books that benefit the local church and its ministries. 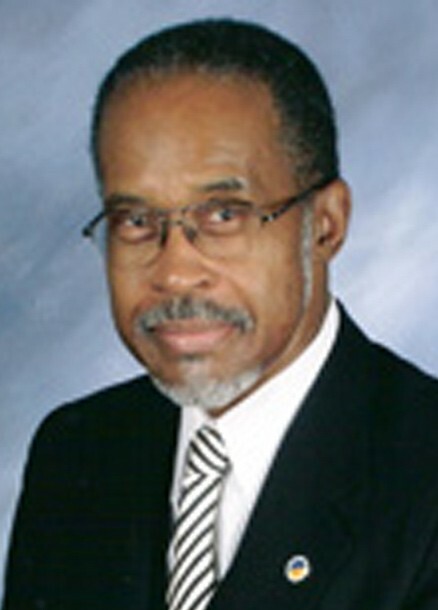 Currently, Dr. Smith serves as a board member for the Morehouse School of Religion of the Interdenominational Theological Center (iTC), Chair of the Constitutional Ministry in the New Era Missionary Baptist State Convention of Georgia, Inc. (New Era), member of the Baptist Ministers’Union of Atlanta, and N. A. A. C. P Life Member. He and his lovely wife, Aretta A. Smith, are the parents of four children: Darin, Derrick, Tonya, and Tamara, and the grandparents of twelve. On Monday, January 21, 2013 will be Parade Day beginning at 10:00 a.m. The Parade will begin at the May Street YMCA. On Saturday, January 26, 2013 the Express for Success, Education, Career and Youth Talent Event will held from 12Noon-4:00 p.m.